If you are Lashawn, please join here and update your profile! Updates to Lashawn's profile since your last visit are highlighted in yellow. LashawnToney was born in 1970. Lashawn currently lives in Chattanooga, Tennessee. 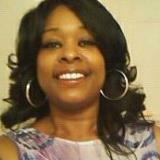 Lashawn Toney attended Kirkman Technical High School in Chattanooga, TN and graduated class of 1989.